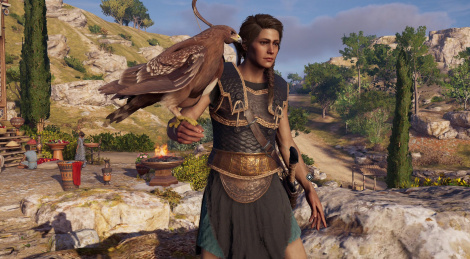 In case you haven't had enough content on Gamersyde, we have some more for you, with the beginning of our coverage of Assassin's Creed Odyssey on Playstation 4 Pro and Xbox One X. For the occasion, we have prepared some 4K footage and even one HDR video recorded on Microsoft's console. Better yet, we'll be back in a new 40 minute livestream, tonight at 9 CET, so don't hesitate to join us and offer me a little support after yesterday's surgery. Update: Streams are now available. When can we expect Gamersyde's review - as in when the embargo lifts? Hey, does anybody know how I can just download the 1080p version of these videos? unknownuser: the bold text was meant for you!!!! 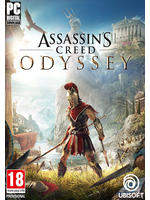 Why do you encode in 60 fps when the game is a 30 fps game? It just makes for larger file sizes, and makes it harder for people to play the videos on less powerful machines. It does not make files larger, if two images are identical the encoder almost ignore it as it use motion-detection to encode frames. And we explained it a few times, the consoles output at 60Hz, thus we capture and encode as is. If a game has bad frame-pacing, it's shown in a 60 FPS video as is. A 30 FPS video could lack some frames or make the game look "smoother" despite having bad frame-pacing. Thanks for these. I enjoyed Origins and had my fill, but definitely interested in this. What a piece of work you are. He's been on my ignore list since he first posted. I'd probably suggest doing the same. Heh, I wonder if the NA versions will be "censored"
Drift: "I'm OK after surg-"
Looks like narrative, cut scenes and facial expresions improved since Origins. Hope it has those rpg elements (they claim it´s like an rpg), and also, hope the story it´s engaging enough to me... Visually speaking, looks great.